We know artist Ben Caldwell draws a gorgeous, distinctive Wonder Woman, and he’s using his talent to support a good cause. 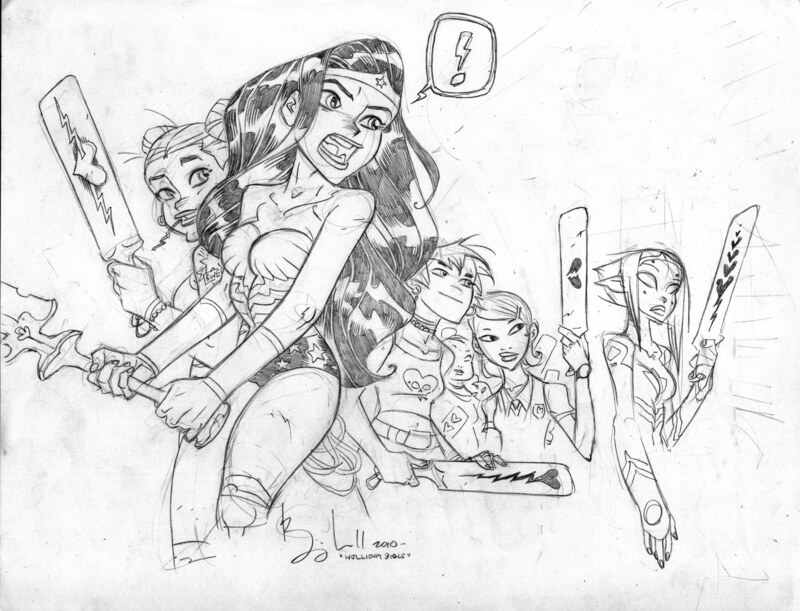 Caldwell is one of the artists who has donated artwork that will be auctioned for Wonder Woman Day V, an annual event supporting anti-domestic violence programs. There’s a ton of stuff being auctioned, ranging from the seriously cool (including Caldwell’s sketch above) to the quirky to the, ah, different. In other words, something for everyone. 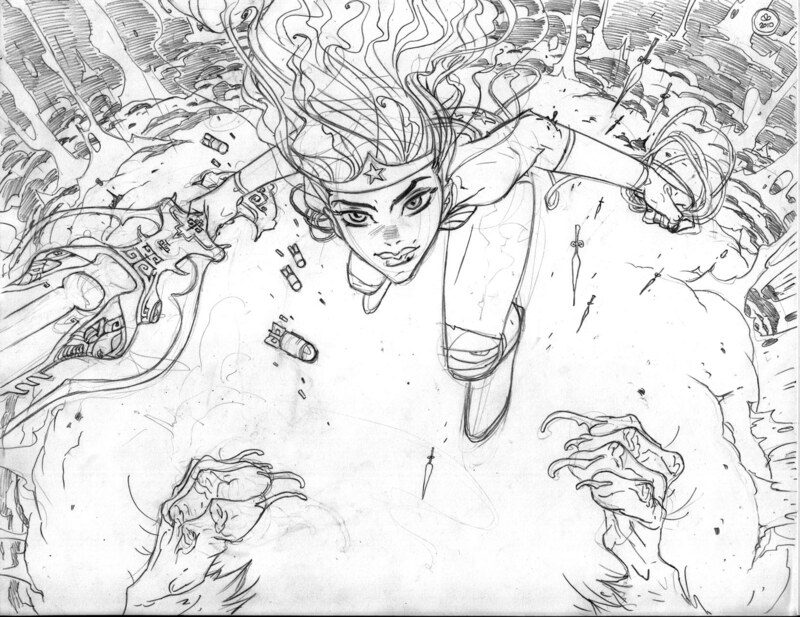 For those of us still drooling over Caldwell’s pitch for a series about our favorite superheroine, there’s a special treat below — another sketch from the passion project that captivated Wonder Woman fans across the blogosphere. The sword! The big eyes! The flowing locks! Sigh. So pretty. Many thanks to Ben for sharing these lovely images with Girls Gone Geek! If you’re anywhere near Portland or Flemington, N.J., on Oct. 24, check out the Wonder Woman Day V events, which include artist signings, displays of Wonder Woman collectibles, festivities, plentiful cosplay and, of course, silent art auctions. Online pre-bidding runs Oct. 16-23, and there’s lots more information on the Wonder Woman Museum site here. Check the quiet confidence in that second picture. Righteous. No one says “dreamy” anymore, but I’m gonna start. His Bruce Wayne was scrumptious. There. I said it! I have become such a fan of this man’s art, and he seems like a nice guy, too. I think it’s weird that her leg seems to come out of her armpit. I admire the unique vision but chicks with armpit legs give me the heebee-jeebees. But that is just me.